An Israeli-American teenager was indicted in Israel on Monday on allegations that he made thousands of hoax bomb calls, some targeting U.S. Jewish community centers, and earned $240,000 by offering to phone in threats against schools, hospitals and planes. 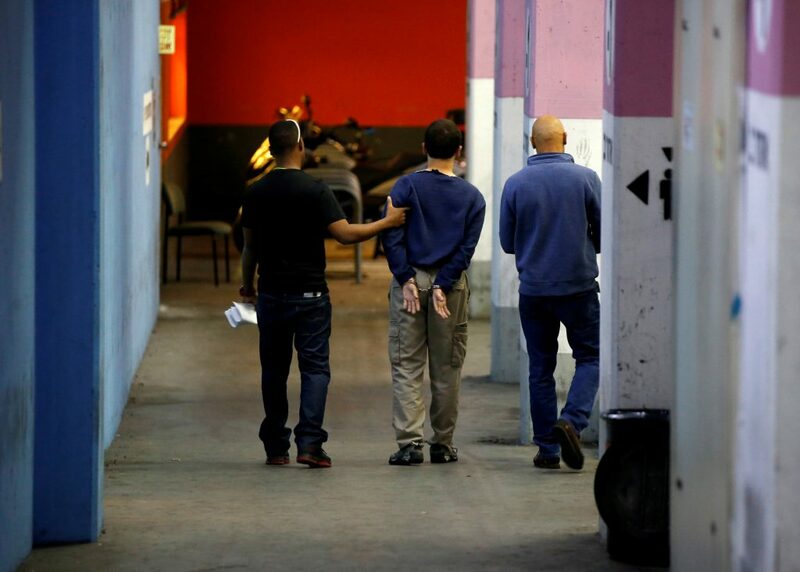 The arrest of the suspect in Israel on March 23 drew headlines when he was identified by police as having been behind bomb threats against the centers in the United States that had raised fears of a surge in anti-Semitism. An indictment filed in the Tel Aviv District Court pointed to a threat-for-profit motive by the 18-year-old, who prosecutors said used electronic voice-altering equipment and a long-range WiFi antenna to cover his online tracks. The suspect, the charge sheet alleged, had the equivalent of about $240,000 in his Bitcoin account earned via make-a-threat services he offered on the “Darknet,” which includes members-only websites that are not available to the general public. The teen’s U.S.-born mother and Israeli father say their son, who moved to Israel at age five and lives with them in Ashkelon, is autistic and suffers from a brain tumor that affects his behavior. No plea has been entered. Israeli prosecutors said that the suspect made bomb and shooting threats against some 2,000 institutions, including schools, shopping malls, police stations, airlines and airports in North America, Britain, Australia, New Zealand, Norway and Denmark. The threats forced the evacuation of many Jewish community centers, including some with facilities for infants and young children. They also prompted criticism of President Donald Trump for what some Jewish groups saw as an inadequate response from his administration. He condemned the incidents in a speech to Congress in February. According to a price list posted by the suspect, customers could order a threat of a “massacre at a private home” for $40, a call threatening a “school massacre” for $80 and a bomb threat against an airliner for $500, the indictment said. “The accused even asked customers to contact him if they had special requests for threats against other targets and to receive a customized quote,” according to the charge sheet. If convicted in Israel, he faces up to 10 years in jail, prosecutor Jonathan Hadad told Reuters after charges were filed in the court. Israeli authorities withheld his name because he was a minor when some of the alleged crimes were committed. Separate criminal complaints filed on Friday in U.S. federal courts in Florida and Georgia that linked the suspect to hundreds of hoax calls between 2015 and 2017 identified him as Michael Ron Kadar. A judicial source said that at present, Israel had not received a formal extradition request from the United States. The FBI took part in the probe.